Various web-sites use content blocking to increase the number of visitors, sales, and for many other purposes. 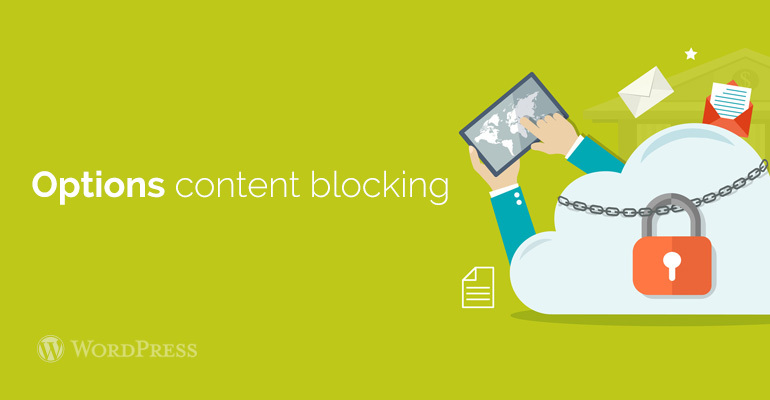 What is Content Blocking and when you need it? Our experts will tell you in detail how to do everything correctly and quickly. How does the addition of blocking content? This method is often used owners of web pages. 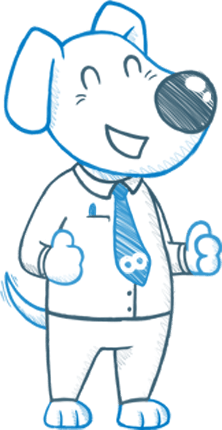 It is based on the fact that the user performs an action, before they can access the content owner. For example, if the content is not applicable as it should, it could not substantially enjoy the users. But if the content is chosen correctly, then in marketing with the help of it can be to achieve anything. Apply lock content is best at the time, when you offer the most valuable content site. There are also a variety of psychological tricks, and updating of content refers to them in the first place. In order to get valuable content users are willing to do some small tasks. You can be a novice, but to act as a professional. 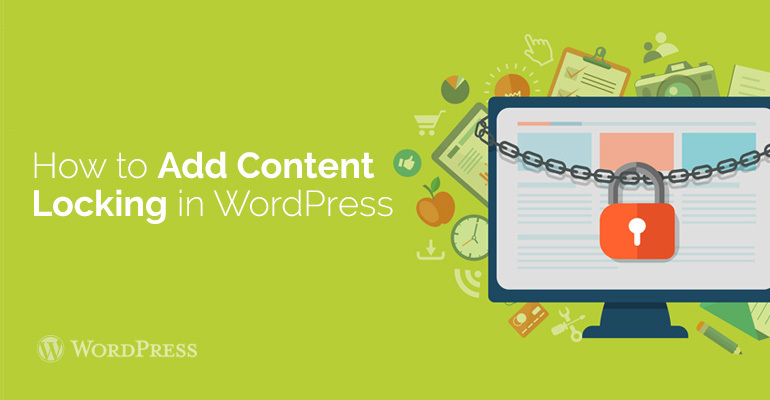 For WordPress content you need the following. Initially, you should do the installation of special plug. Then activate it. To ensure that all went well, the pre-read the detailed instruction manual. This plugin simply compares your website with WordPress account. After you activate the plugin go in the admin menu. All information about the key is in your account on the web page. You simply log in and click on the API. Then you will see a menu where you can select a site, but before that you need a name for your campaign. Then choose the position. It is ready to download templates which are in the right column. This template will be used as a starting point. When the plug-in, you can enjoy tuning appearance OPTIN and its parameters. You can add images or text; choose different fonts, change colors and more. Then go to the menu, and click on OPTIN viewing down, closer to the list of content blocking, and, in fact, turn the lock. You will have different options for blocking content. You will need to initially determine the choice. The duration of cookies is changed to 0. At the end of the process you save all the settings and get the code. Now go to your own WordPress website in the menu section. As output parameters OPTIN change? Go into the settings and change the output. On the next page turn OPTIN online. Once you go in the plug-in menu on the overview page and copy Optin. Now do you edit a page or e-mail, which will include content blocking? Replace existing Optin, to one that was copied previously. Install and activate the plugin, then visit the ad and in the settings plug-in parameters, press Add. Content blocking content will be added automatically for all messages. You choose where you want to place their ads or posts and then press the button Save settings. 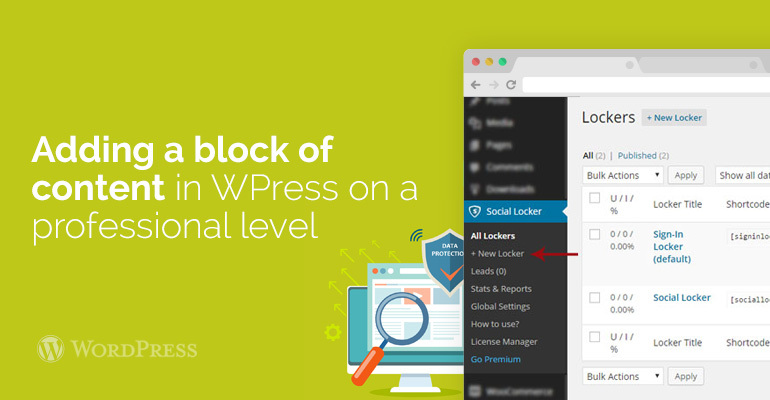 Seems you did not register purchase code for How to Add Content Locking in WordPress to be able to create a topic on this forum.